A day jam packed full of highlights that made me not want to leave. The third and final day of the festival arrived and it was a bittersweet moment. I was jubilant that I would finally be seeing Muse and Liam Gallagher live, the two acts I was most looking forward to over the weekend, but disappointed it was coming to an end so soon. I awoke again to another scorching hot day, the hottest of the weekend, and the news that McGregor had been defeated in the tenth round of his fight. Weekend warriors were already beginning to pack up their tents, presumably to leave that evening and beat the traffic. Wanting to make the most of the day and get out of our greenhouse of a tent, I headed down to the Main Stage to see Manchester five piece PINS. Muse fans already littered the barriers ready for the trio later, however a small crowd had gathered for their performance, and their passion seemed to double them. I cannot write this piece and not mention how they are the coolest girls I saw at the festival, they killed their set and their fans were just as exciting. Following PINS on the Main Stage were VANT, and the crowd had grown significantly. Knowing their audience, frontman Mattie Vant asked “Who’s celebrating their GCSE’s this weekend?” and was answered with an eruption of cheers from the crowd, confirming that I was definitely in the minority of those around me. Despite it being the middle of the day and absolutely boiling, the crowd sang, danced and cheered throughout the entirety of their set. 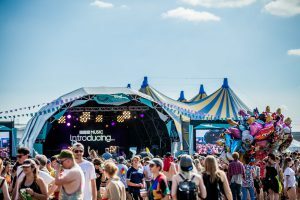 However, for many, their set was cut short by an announcement of a secret set from The Hunna on the BBC Introducing stage. The Hunna looked very comfortable on the small stage as they looked out the continually growing crowd before them, on the year anniversary of their release of their debut album ‘100’. However, despite the exciting set list and short announcement of their performance, the crowd felt like it was lacking some lustre, possibly due to the heat of the day refusing to relent and the water taps having queues longer than the burger vans. The set did come as a pleasant surprise for myself and many others I’m sure, as I knew their headlining slot on the Festival Republic Stage would have clashed with Muse later that evening. Later in the day on the NME/ BBC Radio 1 Stage, I managed to catch The Sherlocks set, and I was impressed at the crowd they had drawn in. Despite a few sound issues to begin with, The Sherlocks managed to nearly fill the tent as they celebrated their debut album ‘Live For The Moment’s’ placing at number 6 in the album charts. Flares were lit throughout the set, echoing the indie spirit seen so commonly at bands such as The Stone Roses, Oasis and The Libertines, suggesting how far they have the potential to go in the future. The Main Stage that evening was home to an onslaught of talent, and one definitely not to be underestimated was GIGGS. Whilst his stage presence as a rap artist with only a DJ was lacking in comparison to Eminem the night before, GIGGS definitely had a treat for the unsuspecting audience, and arguably the biggest surprise artist of the whole weekend. Wanting to make an impact on his half an hour set, after thanking Reading Festival for booking him, he introduced a friend that had travelled ‘a very long way’, that friend being Drake. 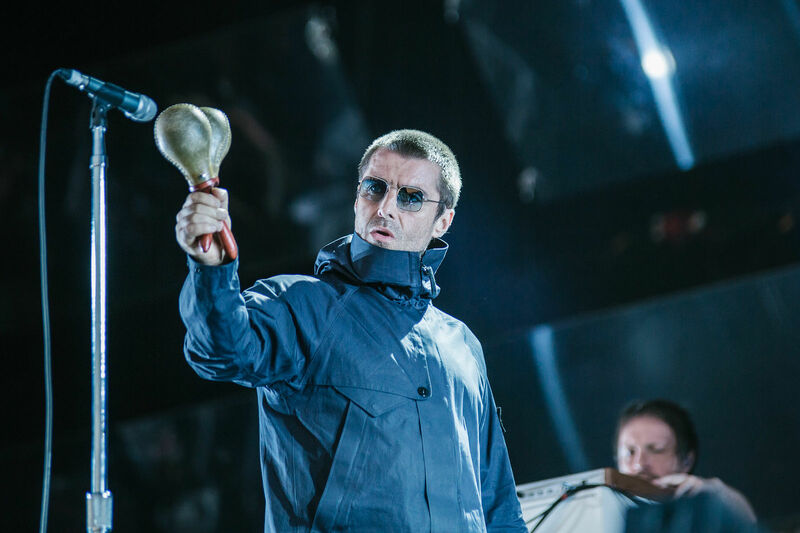 The crowd went ballistic, including those evidently waiting for the contrasting Muse, Liam Gallagher and Blossoms to grace the stage. The award for the most excited crowd I was stood in for the whole weekend had to go to Liam Gallagher. Fans in old Oasis merchandise, new Liam merch, their own customised tops, signs etc. all gathered and eagerly awaited as the backdrop of a wall of glass was revealed. Just about visible through the flares that were all lit simultaneously Liam waltzed onto the stage, done up in his parka and leapt straight into Oasis classic ‘Rock and Roll Star’. 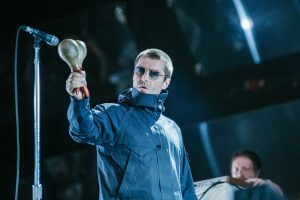 Getting a few of his Oasis hits out of the way he launched into his new material; whilst ‘Wall of Glass’ and ‘For What It’s Worth’ were well received, the other tracks flopped – Liam wasn’t afraid to restart one though to make sure it was perfect for the first time we would all hear it. Finally, it was Muse’s turn to grace the stage, and they did a phenomenal job at closing the festival. Opening their set with newest single ‘Dig Down‘, the band proved that there’s a reason they’re regarded as one of the best live bands in the world. Complete with laser lights, neon lights surrounding their guitars and glasses, streamers, confetti, giant balls and platforms to walk out onto, there wasn’t a moment of the set where I wasn’t looking at the stage. Muse ensured they covered all the classics such as ‘Psycho’, ‘Plug in Baby’, ‘Supermassive Black Hole’ and ‘Time is Running Out’. However, their encore was undoubtedly the highlight of my weekend, as they introduced guest Brian Johnson onto the stage and launched themselves into a cover of ‘Back in Black’, before concluding with ‘Uprising’ and ‘Knights of Cydonia’ featuring an amazing fireworks show. Then with that, the festival was over. 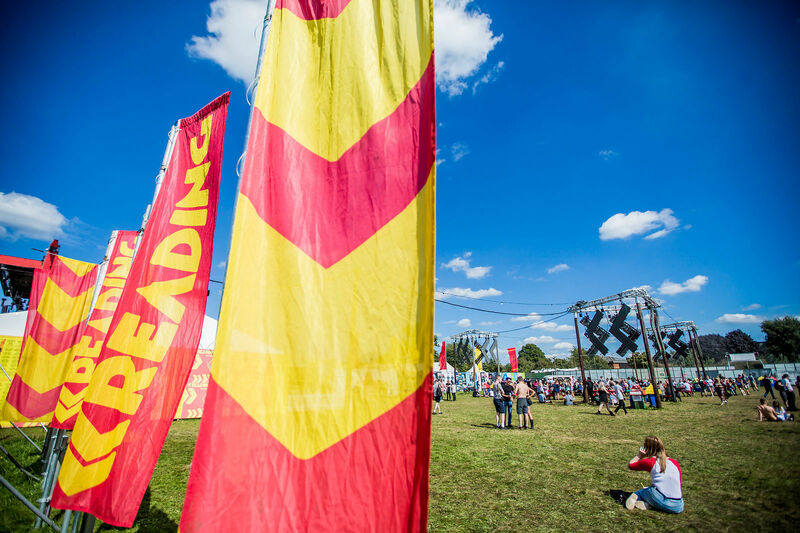 It was a phenomenal weekend and I must give a massive shout out to the Reading staff who looked after everyone in the festival that weekend, especially when it came to ensuring everyone had water in the immense heat we were faced with. I cannot wait to see the line next up the organisers come up with, to top this year.